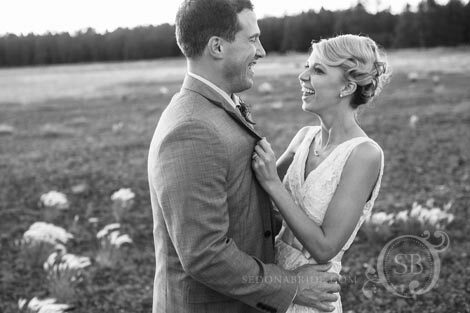 "We felt like long lost friends with our photographers Katrina and Andrew. We kind of chose them by default. When Pinboarding wedding inspiration it seemed like whenever we were really impressed by a photo, it was by Sedona Bride. Choosing them was one of the easiest decisions of the entire planning process. We were so happy that they were available for our date! Whether it's the bride and groom or a table setting, every photo they take is eye catching. They seem to be able to take what you would think would be a blah photo subject and turn it into a masterpiece. While taking photos they hovered around us as quiet as could be, but provided direction and motivation when needed. If you want absolutely beautiful wedding photos that are magazine quality and magical (and you should! 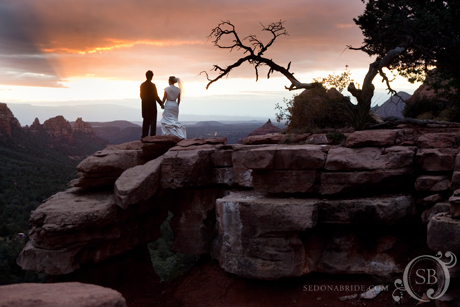 ), Sedona Bride should be your first, and only, choice. " Katrina was the absolute best! She was super responsive, answered all my questions not only about photography but also helped when I had questions about other vendors or ideas. The day of she was so kind and helpful throughout our whole elopement. She got us our pictures back early as well! I would give her 10 stars if I could. 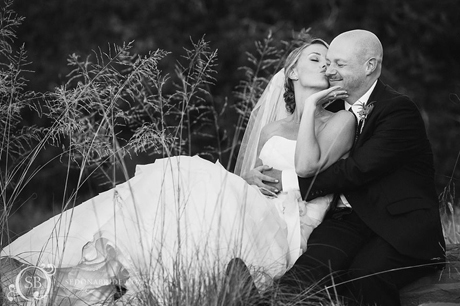 "Katrina and Andrew were more than my wife and I could've asked for in wedding photographers. They went above and beyond in making us feel comfortable and taken care of on our big day. They were magical in catching every great moment that my wife and I could've wanted. They put a tremendous slide show together for us which absolutely helped us relive that wonderful day. I highly highly recommend them for any of your photography needs. You will not find a better photographer anywhere!!" "We cannot say thank you enough to the incredible experience we had with Katrina and Andrew. Their attention to detail and artistic talent is unique and incredible. Everything went so smoothly on the wedding day, and the moments they captured were heartfelt, geniune, crisp, and passionate. They are also truly wonderful, loving people, who we hope to visit again and call friends one day. Recommend with highest sincerity." "Book Katrina and Andrew and you will have the most gorgeous wedding pictures you could ever want! The pictures are jaw droppingly beautiful and exceeded our expectations in so many ways. Plus you'll get an incredible husband and wife couple to make your wedding day go flawlessly. They work so well together and make you feel so comfortable and beautiful. You will not regret booking with Katrina and Andrew!!!! Do it now!!! We love them so much!!!" “There aren’t even words to describe what wonderful and amazing people Katrina and Andrew are. You will see through countless images on their website how talented they are behind the camera, but the images cannot even begin to portray their extraordinary personalities. Katrina is by far one of the sweetest and kindest people you will ever come across. She will spend hours on the phone with you to make sure she understands who you are as a person, and to build a relationship of trust. Every time I talked to her I am sure she had a million other things to be working on and not once did I feel rushed, or that she was not listening. When you meet her in person I swear there is an energy about her you can feel. She has a very calming manner and will make you feel at ease behind the camera. Andrew is one of the happiest people you will meet and brings a lot of positive energy to the table. If you are nervous he will try to lighten the mood with jokes and humor. Both are very quick on their feet to get all the important and breathtaking shots and you will definitely forget they are even there at times. With Katrina’s calming voice and Andrew’s energetic smile they are a killer combo to die for for pictures! … Also, Katrina took our engagement pictures at Red Rock Crossing in Sedona. ...more beautiful pictures to show to your children one day. Katrina made me a beautiful guest signature book with those pictures that my guests signed at the wedding. I love flipping through it! “We LOVED working with Katrina and Andrew. From the first consultation through the wedding day they were extremely professional and always responded quickly to any emails I sent. Looking at their website, SedonaBride.com, I knew right away they both had an eye for photography. I would watch the slide shows posted on their site over and over. When our wedding day finally came, Katrina and Andrew were there right on time, taking pictures of everything! They must have taken thousands of pictures. Even our guests commented on how great the photographers were. Like any bride, I could hardly wait to see the pictures. “Spectacular! You made us look really amazing! We loved going through all the photos! You really captured the essence of our wedding, how special! Thank you so much for everything!" “There aren’t even words to describe what wonderful and amazing people Katrina and Andrew are. You will see through countless images on their website how talented they are behind the camera, but the images cannot even begin to portray their extraordinary personalities. Katrina is by far one of the sweetest and kindest people you will ever come across. She will spend hours on the phone with you to make sure she understands who you are as a person, and to build a relationship of trust. Every time I talked to her I am sure she had a million other things to be working on and not once did I feel rushed, or that she was not listening. When you meet her in person I swear there is an energy about her you can feel. She has a very calming manner and will make you feel at ease behind the camera. Andrew is one of the happiest people you will meet and brings a lot of positive energy to the table. If you are nervous he will try to lighten the mood with jokes and humor. Both are very quick on their feet to get all the important and breathtaking shots and you will definitely forget they are even there at times. With Katrina’s calming voice and Andrew’s energetic smile they are a killer combo for to die for pictures! … Also, Katrina took our engagement pictures at Red Rock Crossing in Sedona. It was very cost effective with a package for your wedding day, plus more beautiful pictures to show to your children one day. Katrina made me a beautiful guest signature book with those pictures that my guests signed at the wedding. I love flipping through it! “We LOVED working with Katrina and Andrew. From the first consultation through the wedding day they were extremely professional and always responded quickly to any emails I sent. Looking at their website, www.sedonabride.com I knew right away they both had an eye for photography. I would watch the slide shows posted on their site over and over. When our wedding day finally came, Katrina and Andrew were there right on time, taking pictures of everything! They must have taken thousands of pictures. Even our guests commented on how great the photographers were. Like any bride, I could hardly wait to see the pictures. Three weeks after the wedding, I sent Katrina an email begging to see a sneak peak of the photos, not only did she post a sneak peek on thier website but she also had all our photos completed two weeks early! The photos are amazing, my mom gets calls from friends that did not attend the wedding saying they watched the slide show and cried. The photos and background music selected make for a truly moving experience. 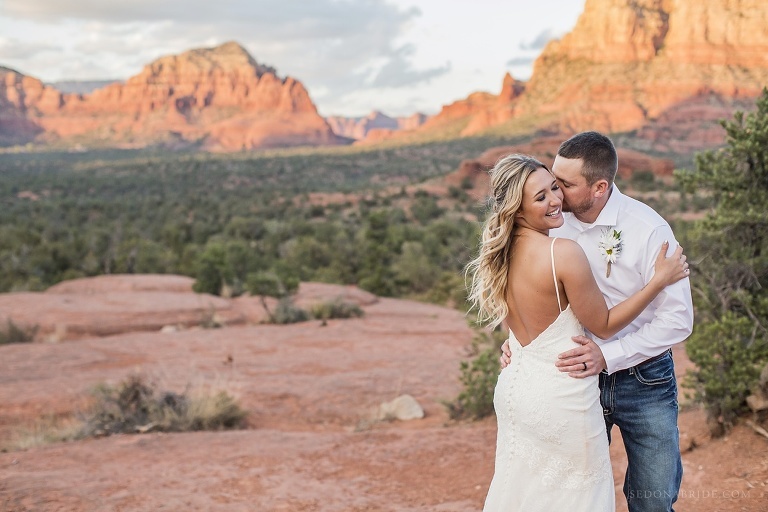 © 2019 Sedona Wedding Photography | Sedona Bride Photographers | Husband and Wife Photography Team | Katrina and Andrew|ProPhoto Photography Website|Designed by Seaside Creative.